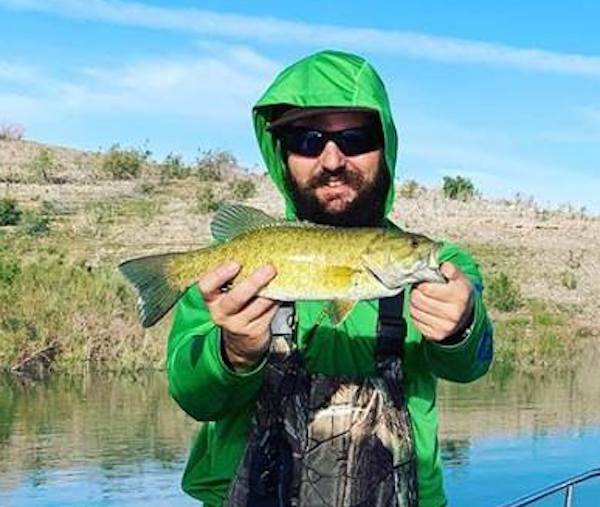 Caught at Tule Springs with white spinner bait. 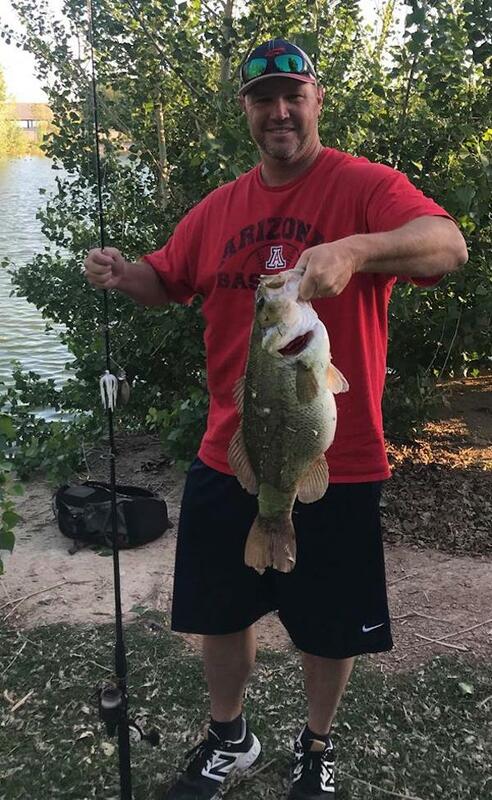 Joe Whitaker caught and released this large mouth bass at Tule Springs (Floyd Lamb Park) last night using a white spinner bait. The fish weighed 9 lbs 8oz. Joe says he stands 6’5", and the fish still looks big! He says he's caught many giants at Floyd Lamb Park over the years. He's been fishing there since the early 1970’s, with a personal best of 10 lb 2 oz in 2013.